If you are an adventurous type, Vrsac is the right place for you. This town located in the southeast of the Banat, has much to offer in addition to rich culture and history. 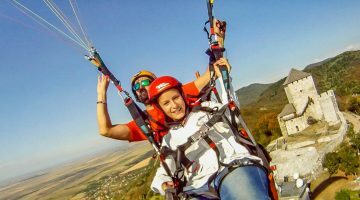 Considering that the city itself is located at the foot of the Vršac hills, and the climatic conditions are such that the wind blows here 200 days a year, this is an ideal area for the development of paragliding. 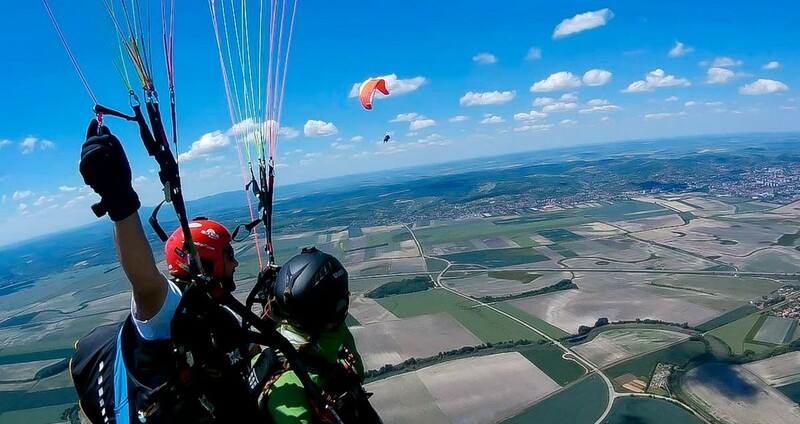 The association that is responsible for the development of paragliding in this area is called “Explore Serbia”. This association was founded for the development of the adventurous spirit and promotion of rural tourism in Serbia and the Balkans. The founder Tatjana Anić says that the association promotes sustainable tourism and ecological awareness. 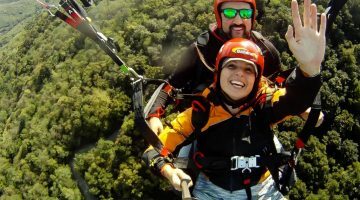 According to her, paragliding does not require any previous experience, nor physical fitness, only good will and desire to fly are needed. In terms of gear – it is best to wear several layers of comfortable sports clothes, and each traveler must sign a statement of responsibility. 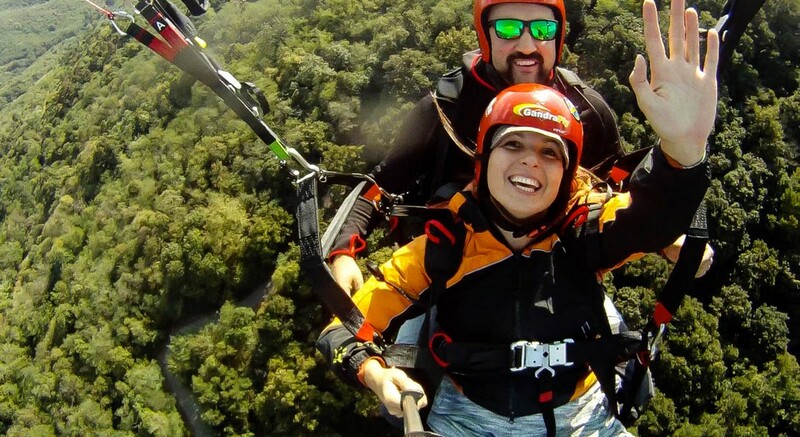 The flight takes place in tandem with the instructor. 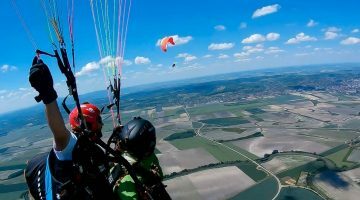 He gives a short training before the flight, which means getting acquainted with equipment, mastering the paraglider dome control technique on the ground, and then you are off to a tandem flight. The height and length of the flight depend on weather conditions, the duration is usually 15-20 min. The flight takes place on the Vršac hill, one of the best paragliding sites in Serbia. The transportation to Vr[šc is organized independently, and the paragliding instructor drives you to the airport. 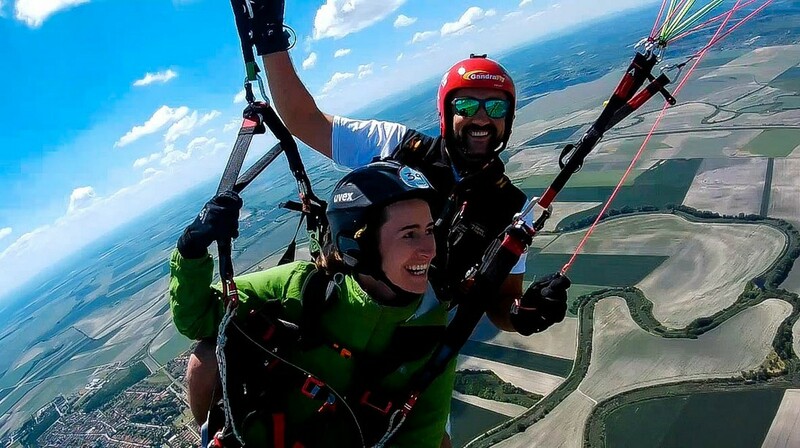 In addition to the Vršac, tandem flight is organized in Novi Sad and Subotica, in Vojvodina.